Today, spotting scopes are gaining more and more popularity in the world of hunting and several other outdoor activities because of the huge benefits they offer someone engaging in such activities. For example, a spotting scope is very important for an outdoor enthusiast such as a hunter since it helps him or her see faraway wildlife in detail. There are several spotting scopes that are excellent for hunting and other outdoor activities such as camping, hiking, boating, bird watching, etc, and the Authentic ROXANT Grip Scope is one of such spotting scopes. In this Authentic ROXANT Grip Scope review, we shall take a look at some of the prominent features of this scope in order to understand what makes it one of the most sought after spotting scopes on the market. We shall also spend some time looking at the PROS and CONS of the product as well as customers’ FAQs. At the end of this review, we hope you the reader would have enough information at your disposal to decide for yourself whether you need the item or not. 1.10.1 Q. Who are the manufacturers of this compact spotting scope? 1.10.2 Q. Can I use this scope at the shooting range? 1.10.3 Q. I wear glasses. Does this scope work with glasses? 1.10.4 Q. I am left-handed. Can I use this scope? 1.10.5 Q. Can the scope be used to view sky objects such as stars and the moon? 1.10.6 Q. Is it a night vision scope? 1.10.7 Q. Can one mount the scope on a tripod? 1.10.8 Q. What are the dimensions of the Authentic ROXANT Grip Scope? One of the most prominent features of the monocular is its retractable eyepiece or eyecup, which is a great feature that is not found in many scopes the size of the ROXANT Grip Scope. The major purpose of the retractable eyepiece is to provide glasses wearers and non glasses wearers with equal opportunities to see very clearly and get the best viewing experience from the scope. The spotting scope comes with a shiny beaded focus ring located near the eyepiece. The purpose of this adjustable shiny beaded focus ring is to give the user the ability to easily focus the scope on the object he or she is looking at for a great optical experience. The high definition optical glass coupled with the premium multi coated glass lens that the ROXANT Grip Scope comes with provides an excellent light transmission and brightness which allows the user to enjoy optimal clarity in any weather condition. If you are engaging in an outdoor activity, your chance of coming into contact with some water or moisture is quite likely. And unfortunately, some scopes aren’t designed to withstand water or moisture. But with the ROXANT Grip Scope you don’t need to worry about water since it is both fog and water proof. Its excellent water proof nature is what makes it particularly good for outdoor activities that involve water such as boating. The scope has a magnification of 6x, which means the scope gives a user the ability to see objects 6 times closer. Why should I get a 6x power scope when I can get more powerful handheld scopes? Some people often ask. Although there are other powerful magnifications such as 10, 12, etc, a less powerful magnification of 6x is ideal for handheld scopes in the sense that with small handheld scopes, the larger or the more powerful the magnification, the more difficult it becomes to use the scope since you are going to experience a lot of jitter and shake. This is the reason why 6x and 7x magnifications are said to be the ideal sizes for small, handheld scopes. In addition to the 6x magnification, the Authentic ROXANT Grip Scope comes with a x30 WIDE VIEW lens which allows the user to enjoy an excellent optical experience. 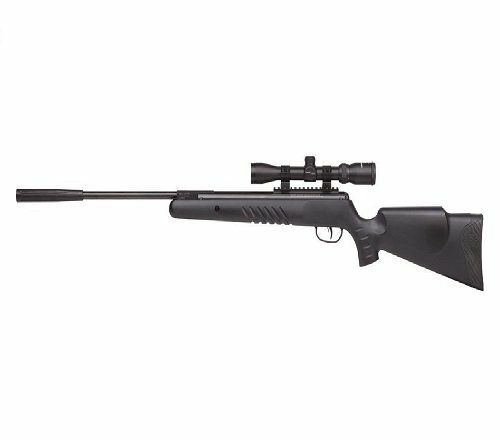 As a result of the No Slip Comfort Molded Grip that the scope incorporates, it is easier for one to hold the scope steady and comfortably with just one hand. It is compact and well-designed. It is a wide vision scope. The scope has molded grips which allow the user to easily and safely handle it with just one hand. It comes with very high quality optics. In addition to being a very good spotting scope for hunting, it can be used for a variety of other outdoor activities such as bird watching, hiking, boating, camping, shooting, etc. Scope comes with a cleaning cloth for cleaning it. Scope comes with a carry pouch and a neck strap to make carrying it very convenient and safe. Does not sufficiently magnify objects that are far away. For example, the magnification isn’t the best if you are trying to look at an object about 100 yards away. Q. Who are the manufacturers of this compact spotting scope? A. The scope is manufactured by ROXANT. Q. Can I use this scope at the shooting range? Q. I wear glasses. Does this scope work with glasses? A. Yes you can see clearly while wearing glasses! Since the scope comes with a retractable eyepiece, both glasses wearers and non-glasses wearers can use the scope without any problems. Q. I am left-handed. Can I use this scope? A. Of course you can! You can use either your left or right hand to operate the scope. Q. Can the scope be used to view sky objects such as stars and the moon? A. You can use it to view the moon, constellations, etc. But you should remember that despite the scope being good for viewing sky objects, it is not an astronomy telescope. Q. Is it a night vision scope? A. No! It is not a night vision scope. Q. Can one mount the scope on a tripod? A. It is not possible to mount it on a tripod since it is a handheld scope. Q. What are the dimensions of the Authentic ROXANT Grip Scope? A. It measures 5.5 x 2 x 2 inches and weighs 7.8 ounces. 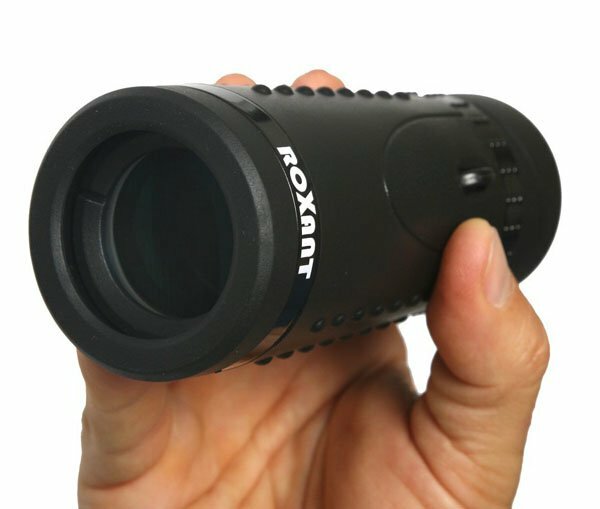 All in all, the ROXANT Grip Scope is a decent spotting scope which is very useful when engaging in a variety of outdoor activities such as hunting, camping, boating, etc. 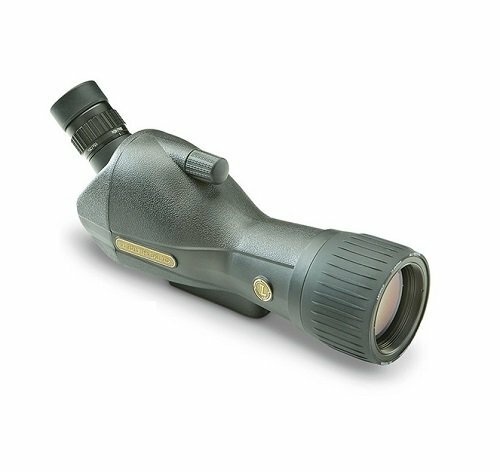 When you combine such prominent features as the retractable eyeglass feature with the HD Optical Glass and the premium multi coated lens features, it is not difficult to understand why the Authentic ROXANT Grip Scope is widely regarded as one of the most useful handheld scopes currently available on the market.